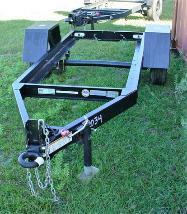 Morgan Trailers, Inc., FL Quality Trailers & Equipment for 30+ yrs. Please use the navigation buttons at the left to find a particular kind of equipment more quickly. Double clicking will enlarge the photos. but there is always a chance of error. x 10' deck. 10,000 lb. capacity. 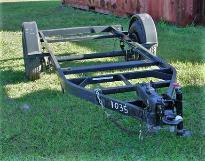 Arrowboard trailer in good condition, 2500 lb. 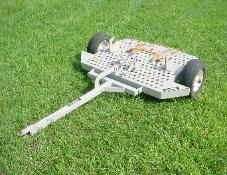 grill, could carry tank, or for other purpose. conversion to a grill. Good used condition. 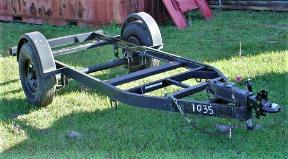 4' x 7'6" frame on this tagalong trailer. 4,000 lb. capacity. Overall good condition. 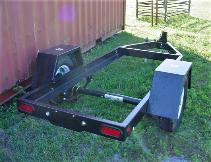 Military hitch & mobile home axle. Needs wiring and lights. 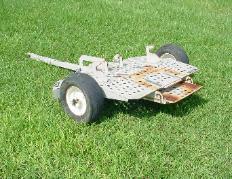 Large 2004 message board trailer. Rotating board. We have the title. fair condition. As you can see, we use it! 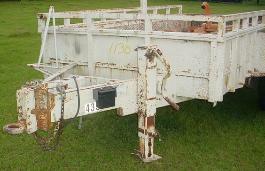 1991 Allegheny Material Handler Trailer, 27'L x 8'W. White. Overall Good Condition. stick, not included in this sale. 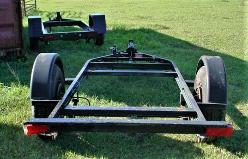 2016 United Alloy trailer. Pintle Ring. 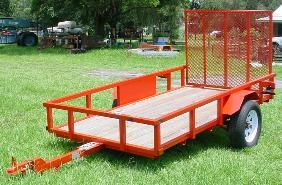 3500 lb capacity. 3'7"
wide 8' long. New Condition. 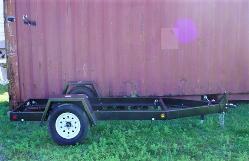 2011 Zieman Single Axle Trailer. Pintle Ring. 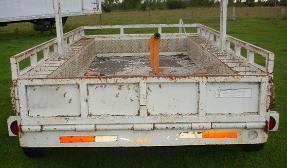 4'x8' Good Condition. 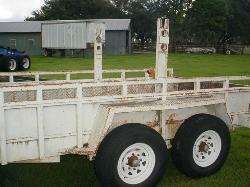 2002 MGS Tandem Axle Trailer. 7000 lb. 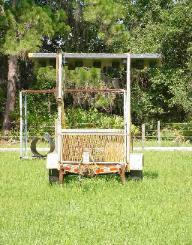 GVW 50" wide 10'6" long. Pintle Hitch. 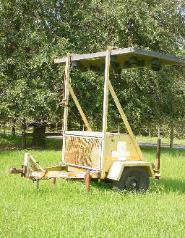 Electric Brakes. No floor. Had Generator mounted. Good Condition. 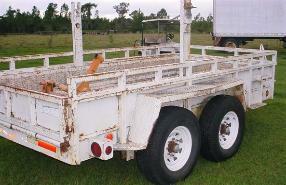 2004 Triton Tandem Axle Trailer. 38" wide 7.5" long. 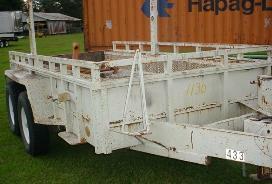 7000 lb capacity. Excellent Condition.